Warning:Handle the piston carefully. Worn piston rings are sharp andmay cause bodily injury. 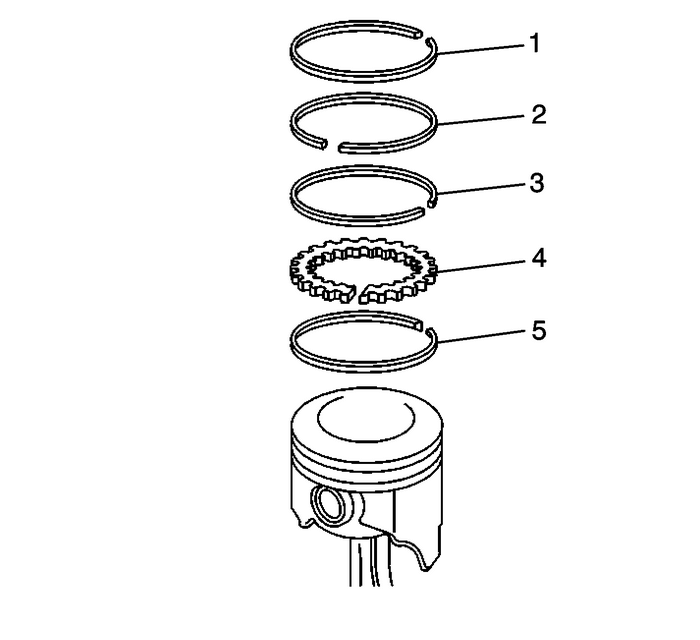 Disassemble the piston rings-(1, 2, 3, 4, 5). Usea suitable tool to expand the rings. The piston rings must not bereused. 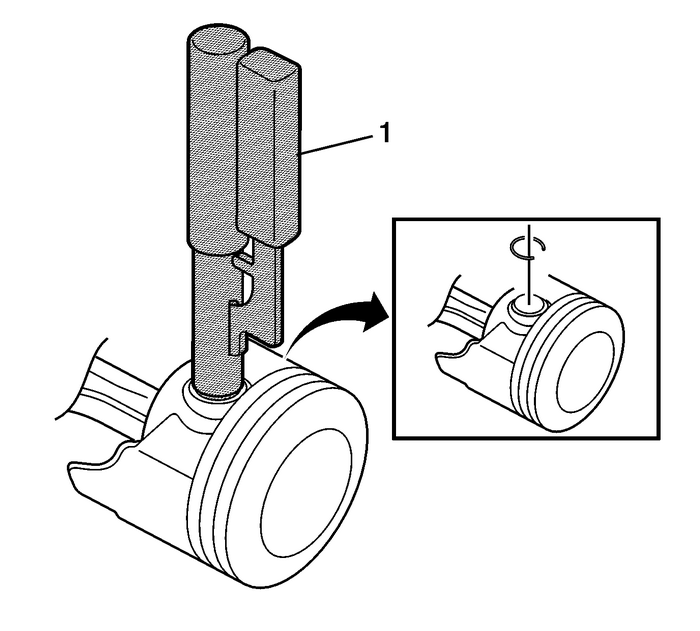 Note:Two retainers hold the piston pins in place. No special toolsare required to remove the piston pins. Ensure that the piston pinis not damaged. Do not reuse the retainers. Remove the piston pin retainers using theEN-46745remover-(1). 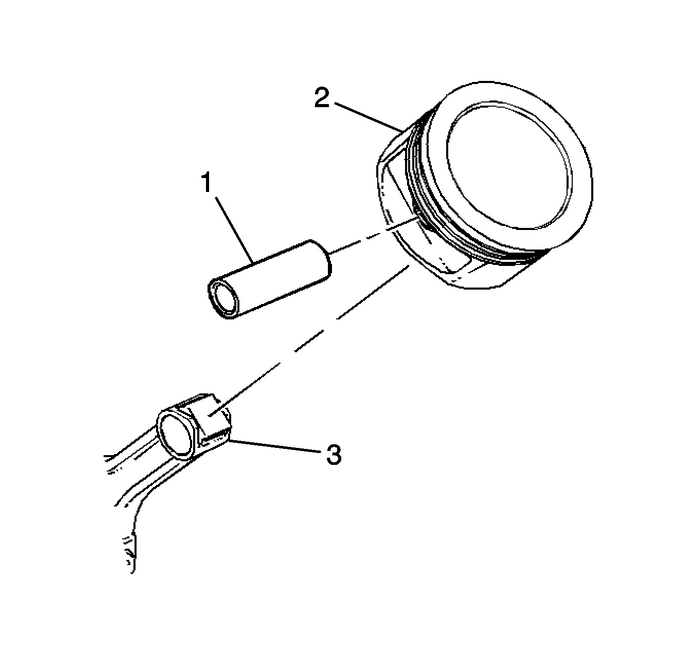 Remove the piston pin-(1) and the connectingrod-(3) from the piston-(2).